In two of my earlier visits to Maine, I had covered both the homogenized data temperature records for the state, and those from the Time of Observation corrected (TOBS) raw data. 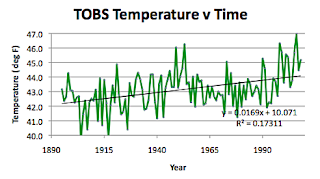 Thus by now looking at the temperature variation over the past 115 years for Vermont, I have largely captured the variations in New England, having previously also looked at Massachusetts, and New York. 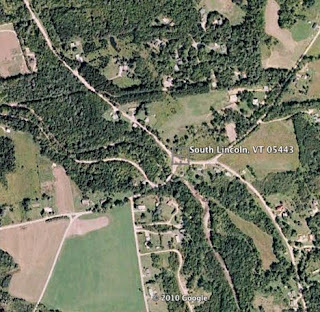 There are eight USHCN stations in Vermont, and according to Chiefio’s list GISS no longer uses any of the information from stations in this state as part of their network, so I will eliminate that part of the analysis this week. 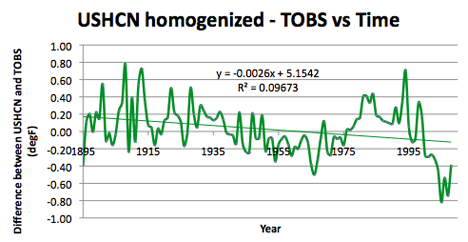 As previously, because of the better correlations that are achieved before the values are “homogenized”, I will report using the TOBS data, rather than the “mean temperature” values that USHCN reports. It turns out that Lincoln is just over the hill, and so I am going to use the population of that town (1,214) to include South Lincoln. 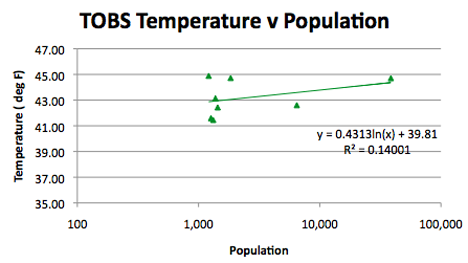 With only 8 stations and only one above 10,000 (Burlington) this is, by GISS definition, definitely a rural state. (They count towns of less that that number as rural without further definition of population). 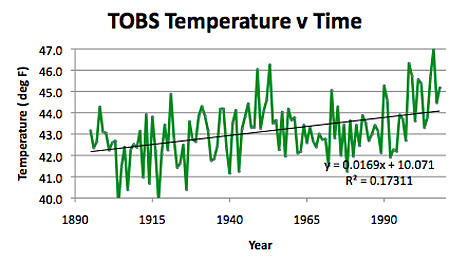 The temperature increase is 1.7 deg/century which is slightly higher with the TOBS data than with the homogenized values (1.4 deg/century) and the hottest year was 2008. While, in contrast, there is a reasonably good correlation with longitude. In this case considerably stronger than either of the above two. Vermont is some 160 miles long and 80 miles wide (71.47 to 73.43 Longitude; 42.73 to 45 Latitude; mean elevation is 1,000 ft (300 m) with the highest point at 4,395 ft). 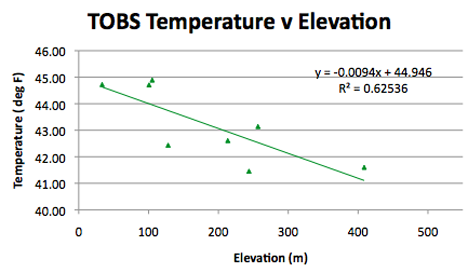 There is only one station, out of 8, above the average elevation for the state. 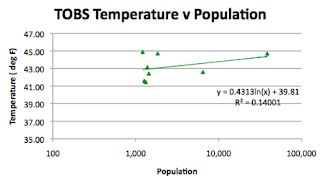 Given the narrow band of population scatter in the data, it is interesting that there is still a reasonable correlation of temperature with population. And, in contrast with recent trends in other states, the homogenized data shows a decreasing effect on temperature over time, though the change is quite small (0.2 deg per century). 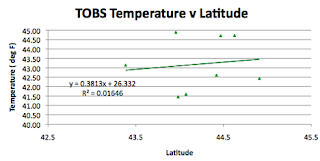 Given that it is Thanksgiving Break next weekend, there will not be a post on temperatures next Saturday (I will be taking a week off) but should be back the first Saturday in December – the next question to answer being that, having now gone right across the country, where do I go next?